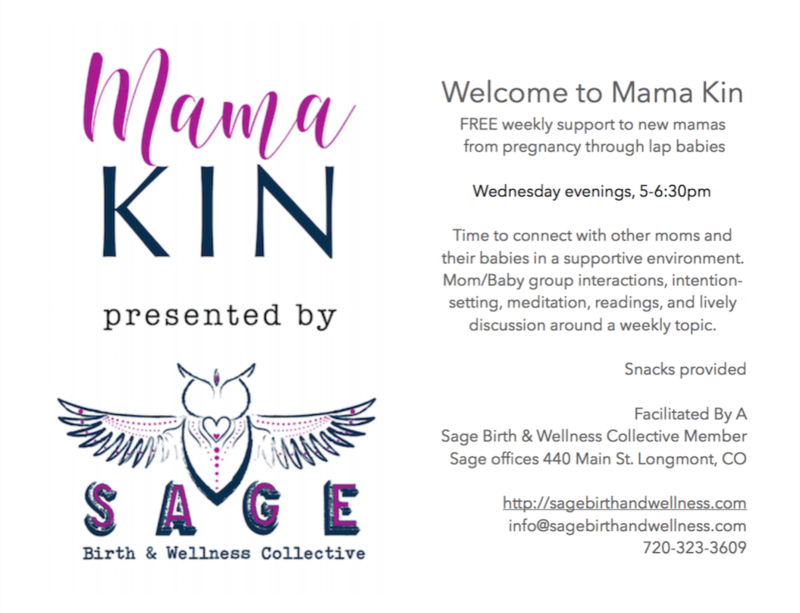 Learn how to plan out and manage your first days at home with your newborn and your postpartum period in our mom and baby groups, pregnancy and postpartum classes in the Boulder & Longmont area. This Childbirth Education Series is taught by Sage Collective Member Amy Meilen, and covers 9 hours of information on labor-stages, management, support, etc, the 4th trimester-4 pillars of postpartum wellness, and finally How to Thrive with your Newborn. 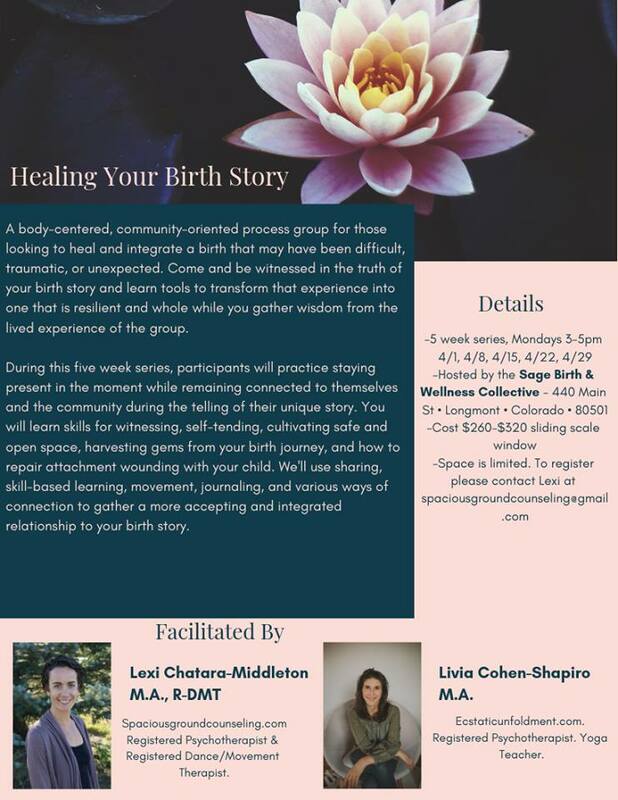 Please join us for this 3 week series held at the Birth Center of boulder on the 2-4th Tuesdays of September. This Class will be held quarterly, so if the next date doesn’t work for your EDD, it will happen again in 3 month’s time. 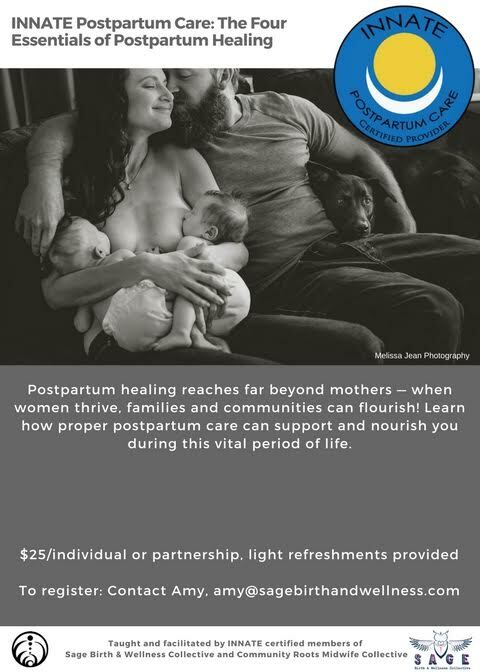 Cost of the 3-week series is $225 and includes course materials, 2 weeks of heavy snacks and a full meal on week 2 that will emphasize recommended foods for healing and regeneration in your postpartum time. Join us for a monthly Education Series: How to Thrive (not just Survive) Life with a Newborn. This class will be offered as the second of 3 in a childbirth education series. Class includes light dinner for two and reviews everything essential about newborn care and thriving with your transition to parenthood. If you have already taken a childbirth education class, and wish to take a newborn class ONLY, this will be offered quarterly at the Birth Center of Boulder. Register with Amy! 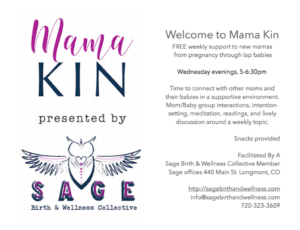 MamaKin-A weekly mama/baby meet up for women with babies from newborn to lap-babies. We meet at 440 Main in Longmont from 5:30-7:00pm. Discussions vary and are facilitated by Sage Birth & Wellness Collective members. Topics have included sleep, breastfeeding, infant massage, managing siblings and other family members, etc. We share snacks and enjoy meeting up with other mamas and babies in a safe environment. Please join us!